After studying Medicine at the University of Turin in Italy, Professor Marino trained in Neuropathology and Histopathology at the University of Zurich in Switzerland. She trained in molecular genetics at The Netherlands Cancer Institute in Amsterdam as a Marie Curie Postdoctoral Fellow of the European Community. She established her own laboratory research group in 2002 firstly at the Institute of Pathology, University of Zurich and then since 2006 at the Blizard Institute in London. 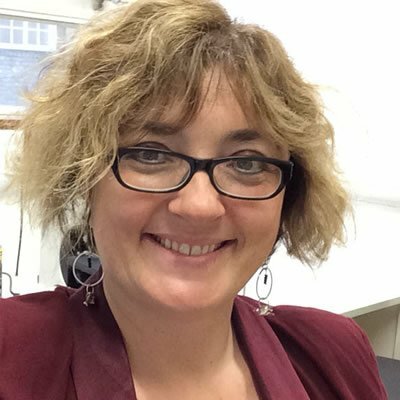 Silvia Marino is Professor of Neuropathology, Lead of the NIHR Integrated Academic Clinical Training and member of the Research Deanery at Barts and The London School of Medicine and Dentistry, Queen Mary University of London. She is the Lead of the Brain Tumour Research Centre of Excellence, a partnership between QMUL together with UCL Institute of Neurology and the charity Brain Tumour Research. The focus of the Marino research group is on the biology of stem cells and progenitor cells, on the pathways and genes involved in control of their maintenance, proliferation and differentiation, in particular the Polycomb group genes. The group is currently investigating the role of deregulated epigenetic mechanisms in initiation and progression of brain tumours –medulloblastoma and glioblastoma- in experimental models and in human tumour samples. In her clinical role as a consultant neuropathologist, she specialises in the neuropathological assessment of neuro-oncological surgical specimen and muscle biopsies. MV Niklison-Chirou, I Erngren, M Engskog, J Haglöf, D Picard, M Remke, P H R McPolin, M Selby, D Williamson, S C Clifford, D Michod, M Hadjiandreou, T Arvidsson, C Pettersson, G Melino and S Marino. Genes & Development, 2017 Sep 26. doi: 10.1101/gad.302349.117. [Epub ahead of print]. An Outlook article in Genes & Development will accompany the printed version of this paper. V Di Foggia, X Zhang, D Licastro, M F M Gerli, R Phadke, F Muntoni, P Mourikis, S Tajbakhsh, M Ellis, L C Greaves, R W Taylor, G Cossu, L G Robson and S Marino.